When it comes to interior design, the smaller aspects are some of the most important, and one great example of that principle is window treatments. The windows, blinds, and shutters in your home have a huge effect on the way your rooms look and feel, and selecting the right window treatments can be a tough decision. 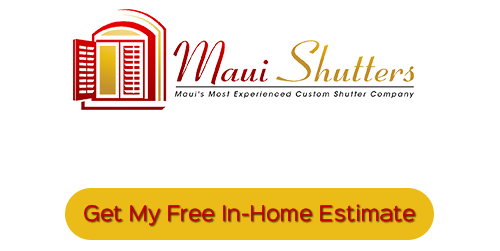 At Maui Shutters, window shutters are our specialty, and for a few reasons, our Maui window treatment experts believe shutters can be a great choice for most homes. Shutters require very little attention. If they’re taken care of, you won’t need to do much beyond dusting and wiping away fingerprints from the panels. Your shutters can be cleaned with nothing more than some warm water on a cloth. Shutters are also very durable, so you won’t be paying more for replacements any time in the near future. Our professionals can custom-fit your shutters to your Maui home’s windows, which makes them very energy efficient as it guarantees maximum insulation. By reducing the amount of cooled or heated air leaking from the windows in your home, your new shutters will help you significantly lower your energy. They may have a higher cost upfront than other window treatments, but shutters will pay for themselves by lowering your home’s monthly energy costs. Over the years, many other types of window treatments will need to be replaced several times, but window shutters can last for a much longer time. This helps you save money down the line, and it increases the resale value of your Maui home. Shutters are the perfect match to nearly home decoration style. They’ll immediately add a sophisticated look to any home interior. Their simple design is clean and classic. 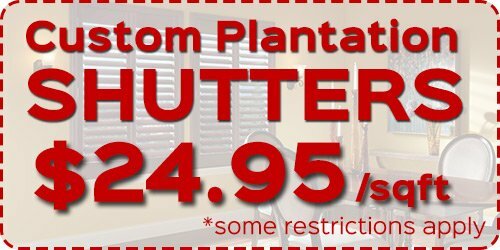 Plantation shutters used to be a mark of class and were only available to the elite, but today the average homeowner can enjoy their upscale look with relative affordability. Shutters offer an amount of light control that is surpassed perhaps only by blinds. You’ll have more of a choice when it comes to light management, and that can help you lower the cost of electricity in your Maui home. You can choose from a variety of slat sizes, from the classic 1 ¼” up to 6 ½”, so they’ll be able to let in as much light as you choose and complement any style of home decoration. If you’re looking for window treatments in Maui, call Maui Shutters at 808-495-3434, or fill out our online request form.